Using environmentally friendly soil nail and root technology (SNART) DST was able to successfully stop further crest regression. 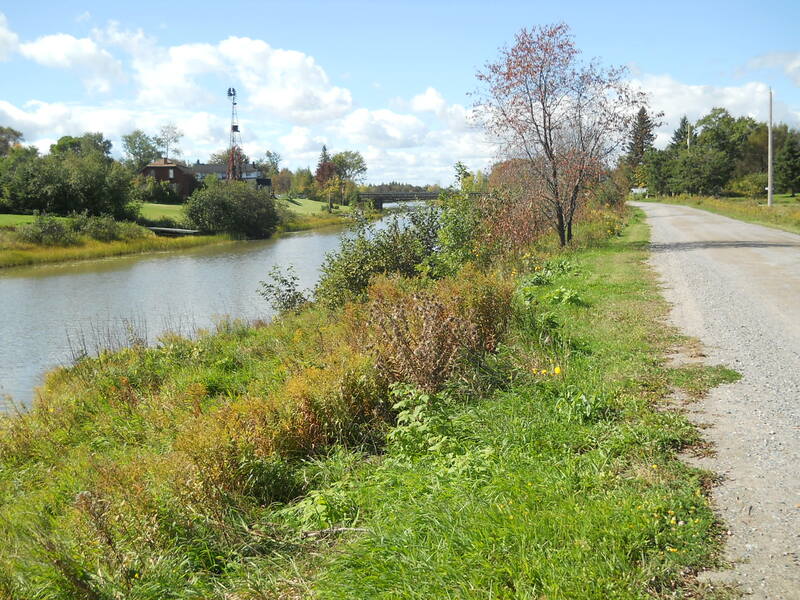 This protected houses, roadway, and services along a 500m stretch in Garden River First Nation, Ontario. An innovative design and installation system was developed for the community of Echo River First Nations to mitigate slope instability. A grid of soil nails was installed perpendicular to the slope using a special nail head and green biotechnical facing. Innovative slope stabilization is our speciality. The slope was stabilized at a 40% cost reduction over the other commonly used methods. The rapid installation provided immediate benefit to the community and this solution eliminated the need for the road and bank reconstruction. This method, which was designed by DST engineers, has a 100 year design life and had minimal impact on the existing ecosystem. In the end, this solution minimized disturbance to the existing vegetation, carbon emissions, and ensured there was zero impact on the fisheries habitat. There as low noise pollution during construction and no dust pollution. We are proud to have received the Award of Excellence from Consulting Engineers Ontario in 2011 recognising our innovative engineering achievements for this project. AFTER: Environmentally Friendly Solution for Slope Stabilization.